"TOP PICK! Crowned and Moldering is a very absorbing, suspenseful cozy mystery, cleverly plotted, and highly entertaining... 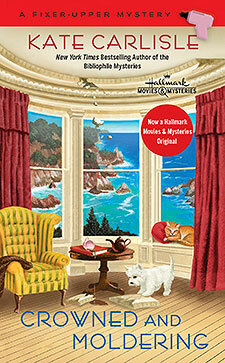 I highly recommend this one to all cozy mystery lovers!" "An edge of your seat, don't want to put it down story that will really draw readers in and have them working hard at hammering out the answers...more twists than a spiral staircase."